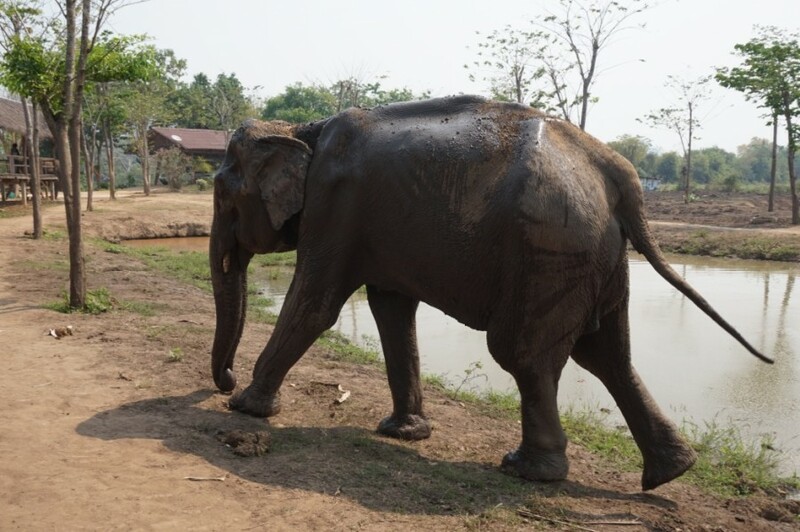 She arrived in the beginning of 2015 from a trekking camp, together with Tong Kram, where she worked for a long time. She was very skinny compared to the other elephants but she is eating well and likes all the fruits and vegetables we give her. Here she found a nice place to recover from her hard life and she really enjoys taking a bath in the river. She has a distinguished feature; she has a little tusk (30cm) on her left side. At the time she was working, she was the superstar of the camp. 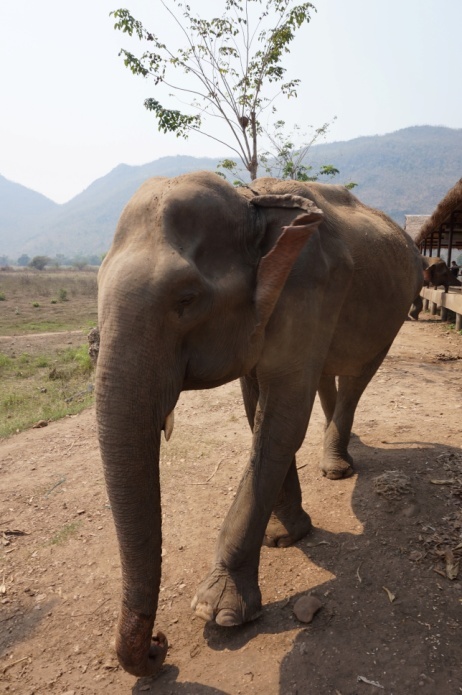 She was one of the smartest and most agile with her trunk: she could play football, or picking flowery branches for tourists who rode her. She was fed two times a day with pineapple trees and grasses. She was naughty and we guess that she was powerful and versatile thanks to her name that means “Red Bull” in Thai, which is as well the famous energy drink sold in south Asia.